The simple yet elegant style that epitomizes our solid wood Cabin Creek collection makes it the perfect complement to almost any bedroom décor. 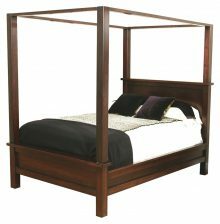 And with a wide assortment of pieces that includes beds, hutches, nightstands and other bedroom staples, you can easily find the perfect item for your room. If you’re in the process of furnishing an entire bedroom, you can order multiple pieces and get the benefit of a substantial volume discount! 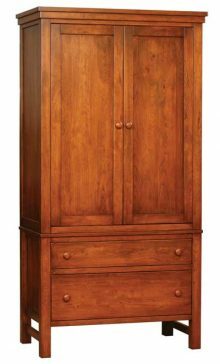 What makes our Cabin Creek furniture so special is the material – we use only the finest northern kiln-dried hardwoods such as Oak, Cherry, Maple and Rustic Cherry. These hardwoods are known for their remarkable durability, as well as their naturally varying grain patterns that ensure no two pieces are exactly alike. Every Cabin Creek furniture piece is a true original! If you are looking for a bedroom set that stands out, makes a statement and is unique to your personal style and design preferences, you’ve come to the right place. Big box retailers sell generic, mass-produced furniture sets that are a dime a dozen. 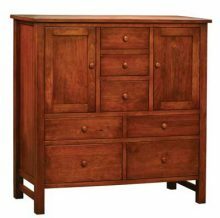 AmishOutletStore.com sells handcrafted, one-of-a-kind Amish bedroom furniture sets with that individualized look and feel that draws you toward a piece of furniture. Natural wood is used in the construction of each piece found in the Cabin Creek Bedroom Collection. 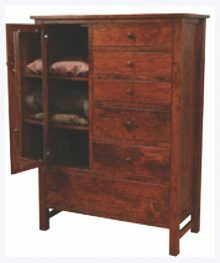 This means although the stylistic qualities of each piece may be similar, the grain patterns of each bed frame, nightstand and dresser is unique — creating a different look in each and every piece of furniture. Opening the door into your bedroom should be like opening the door into your soul, your private sanctuary and your oasis from the troubles of the world. When you step within those walls, you should see only furniture and décor that speaks to you. 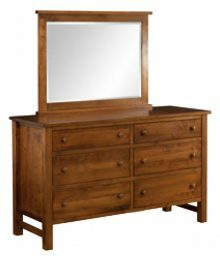 The Cabin Creek bedroom furniture collection is a great place to start creating that safe space for yourself. 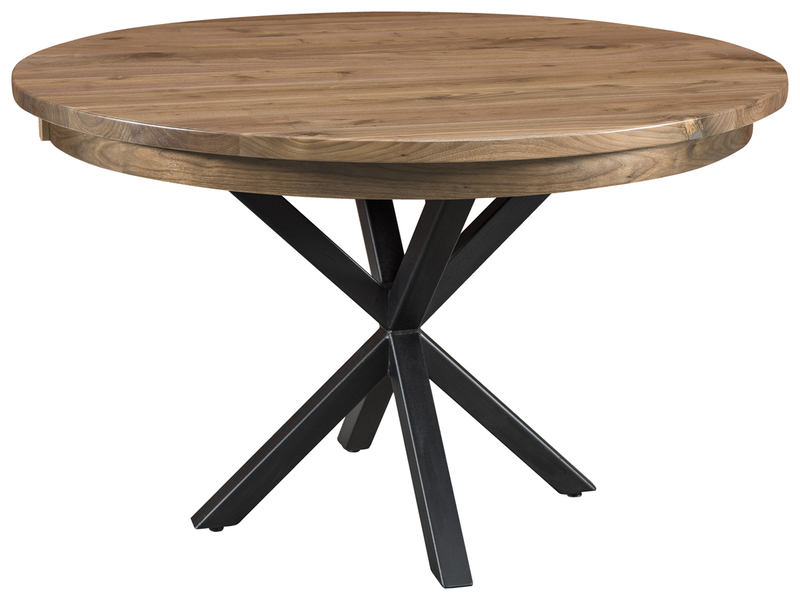 A major benefit to natural wood furniture is that it works well with most décor choices. Decorate with neutral colors and natural accent pieces for a rustic bedroom theme. Use bright bedding and modern accent pieces for a mix-and-match design that creates an industrial look for your bedroom. If traditional is more your style, pair your natural wood bedroom furniture with light floral patterns and antique accent pieces. 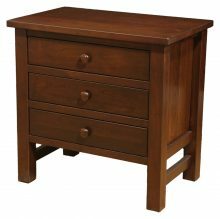 The beauty of these Amish bedroom furniture sets is that you choose which pieces are right for your bedroom. Sets sold in box stores are often preset together. It doesn’t matter to them whether you need two dressers and a nightstand or one dresser and two nightstands or an armoire — their sets are already combined. 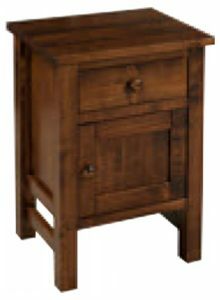 At Amish Outlet Store, you can pick and choose the pieces that work best in your home to create a truly unique Cabin Creek bedroom collection set. 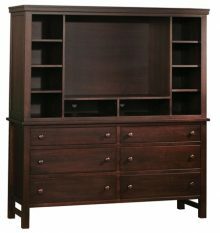 The Cabin Creek dresser with hutch is a great piece of furniture to hold your television, video game equipment, entertainment disks and clothing. 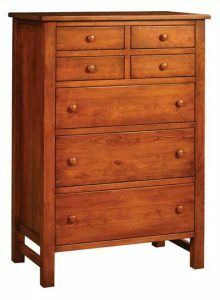 If you don’t need a storage area for your electronics, the small dresser, tall boy chest and his and her chests are all ideal for storing your clothing. 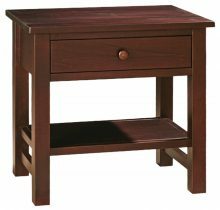 Complete the look with a nightstand or two in either the standard size or wide, both equipped with a small drawer for storing personal items. So much of today’s bedroom furniture is slapped together quickly in some overseas factory. 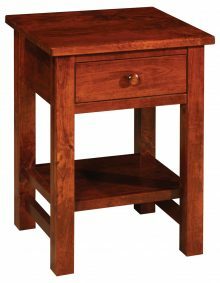 Our Cabin Creek furniture is hand-produced right here in the USA by highly skilled Amish artisans. The Amish are renowned for their painstaking furniture-making process that always favors quality over quantity. The end result is heirloom-quality furniture you’ll be proud to have in your home for many years to come. Aside from stylistic designs, the durability of your furniture is the most important quality to ensure. We understand this, which is why we are confident that our Cabin Creek Bedroom Collection will stand up against the wear and tear of everyday use. It is built with a strength and durability that has become synonymous with the Amish name. 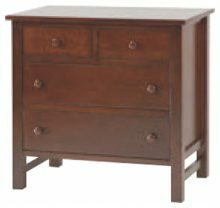 The pride and craftsmanship of each Amish-made product sold at the AmishOutletStore.com shines through, making it difficult to find a better-crafted or longer lasting piece of bedroom furniture. High Quality and Low Prices: A Combination Thats Hard to Beat! 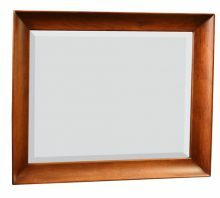 A key reason why AmishOutletStore.com has such a large and loyal customer base is our ability to offer fantastic Amish-made solid wood furniture at affordable prices. You’ll find an assortment of money-saving monthly promotions and special discounts to keep more of your hard-earned money in your pocket. For instance, if you order any Cabin Creek piece today, you’ll save up to 33% off the regular retail price! We even offer a discount to customers who pay by personal check. Learn more about our Cabin Creek collection by exploring the individual product descriptions found on this page. Use our convenient online tool to experiment with numerous wood and stain combinations to create your own customized bedroom furniture masterpiece. 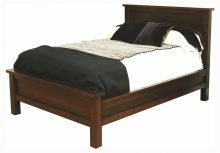 Buy your new furniture online today or call us at 1-800-217-6999.